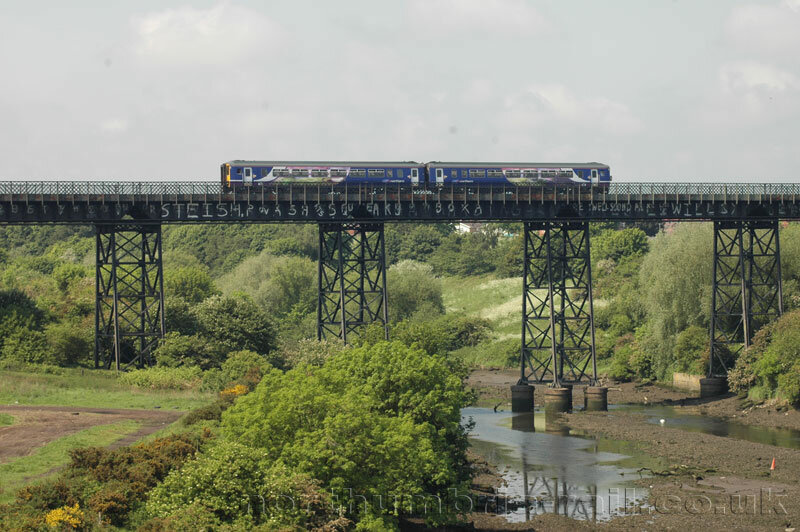 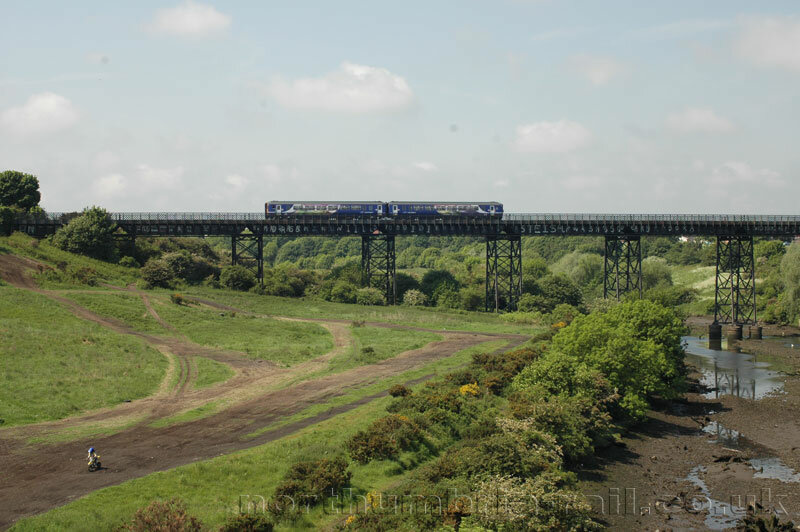 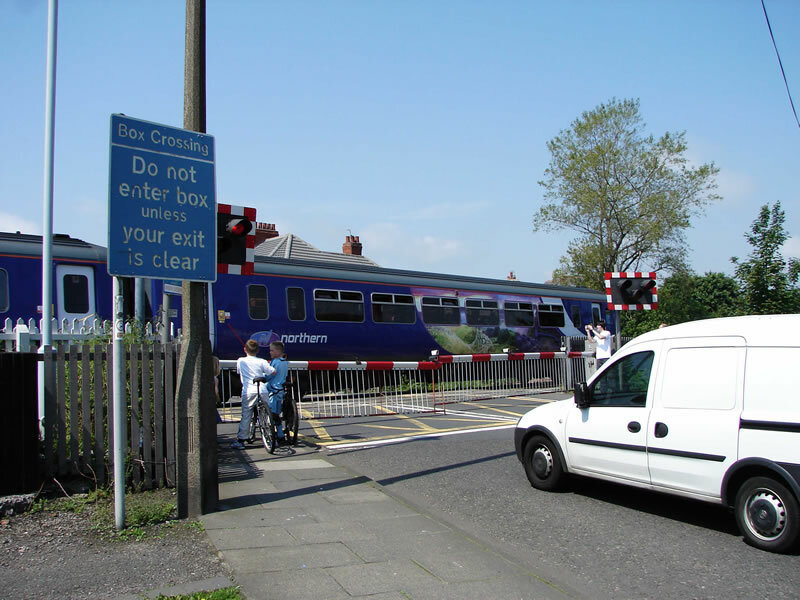 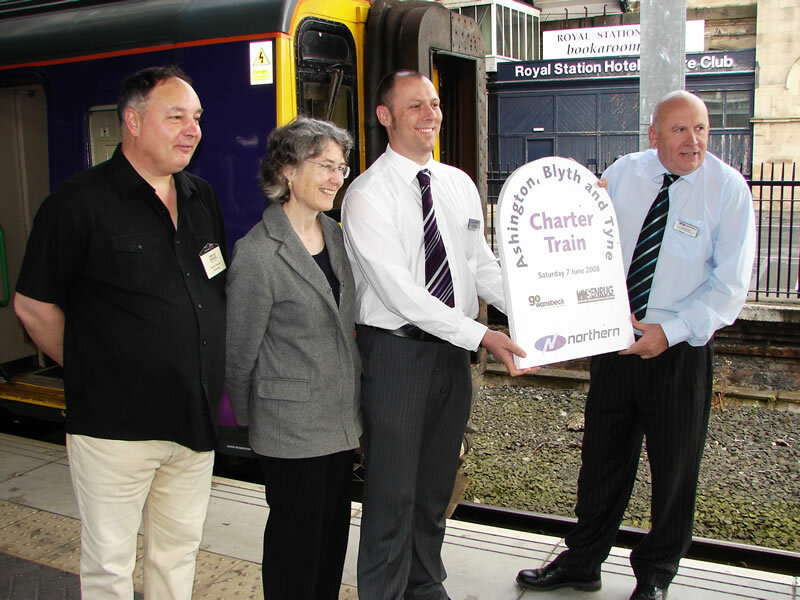 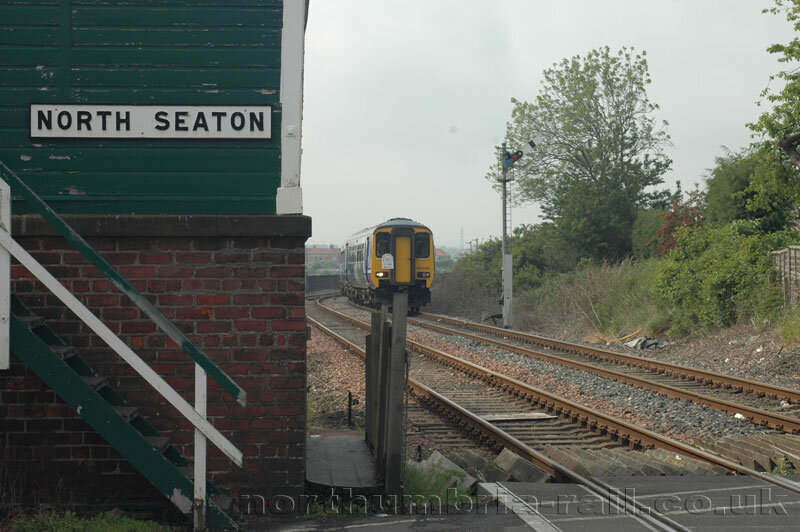 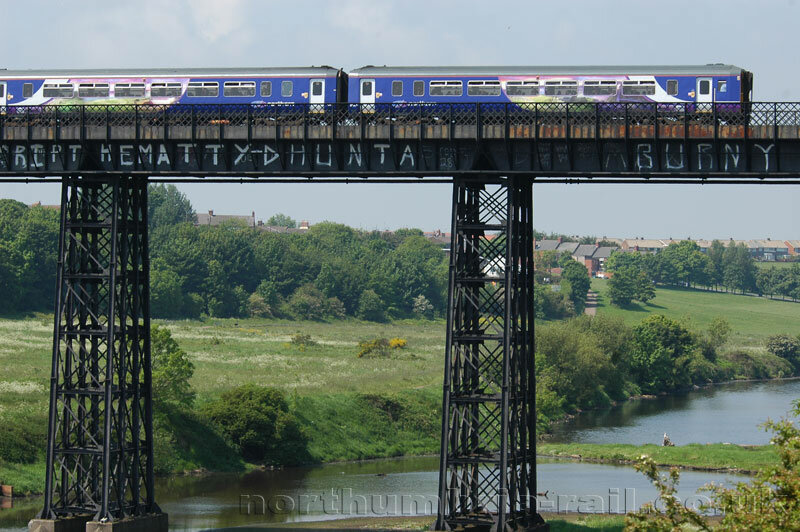 The campaign to see passenger services restored on the freight only Ashington Blyth & Tyne Railway took a significant step forward on 7th June 2008 when SENRUG chartered a special train to run round the line. 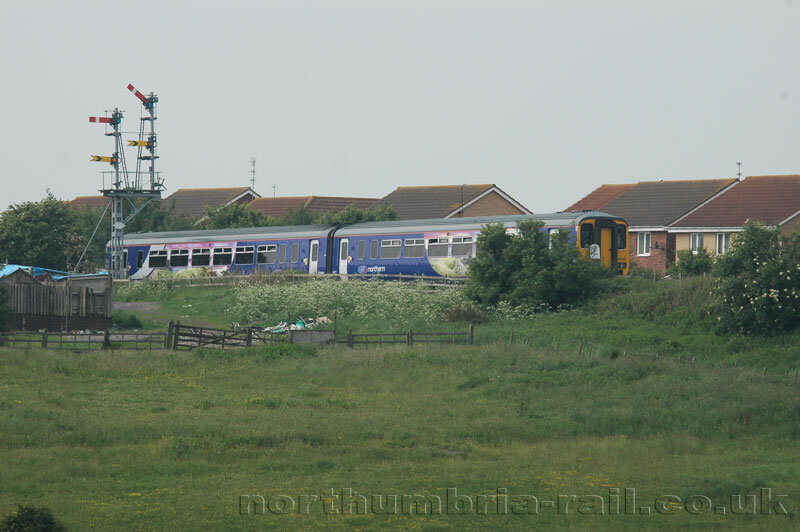 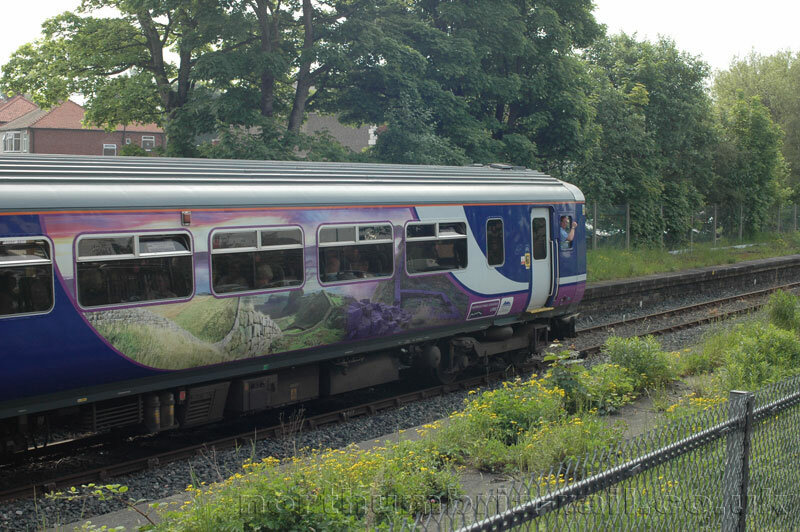 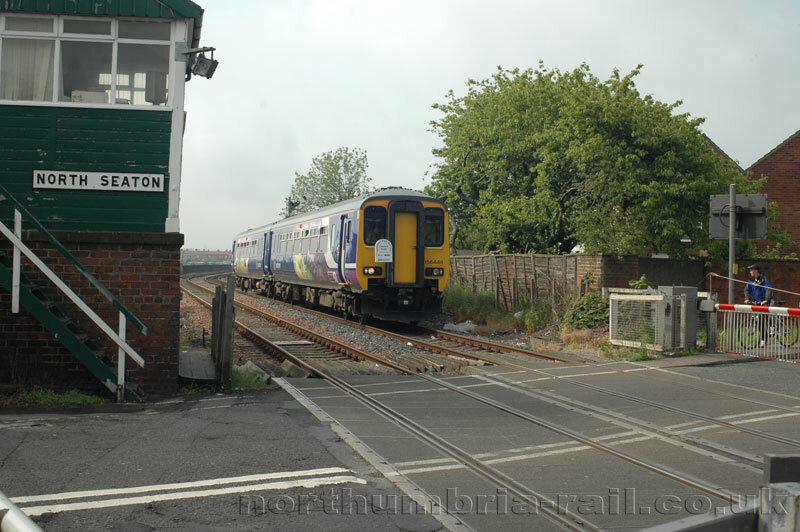 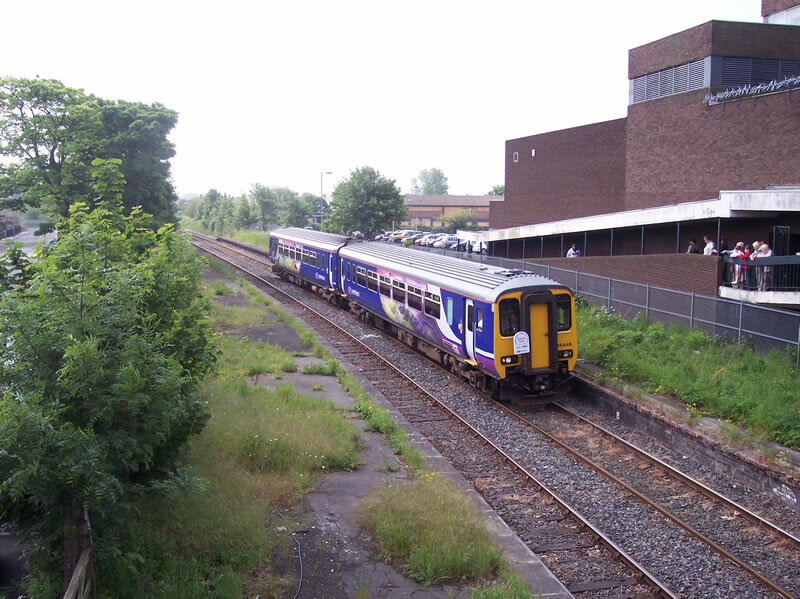 The train, chartered from Northern Rail through sponsorship from “Go Wansbeck” (The Regeneration Arm of Wansbeck District Council), made 3 separate trips round the line, with each trip including both the Morpeth - Choppington - Bedlington and the Northumberland Park - Newsham - Bedlington - Ashington sections of the line, both of which have been the subject of recent re-opening studies. 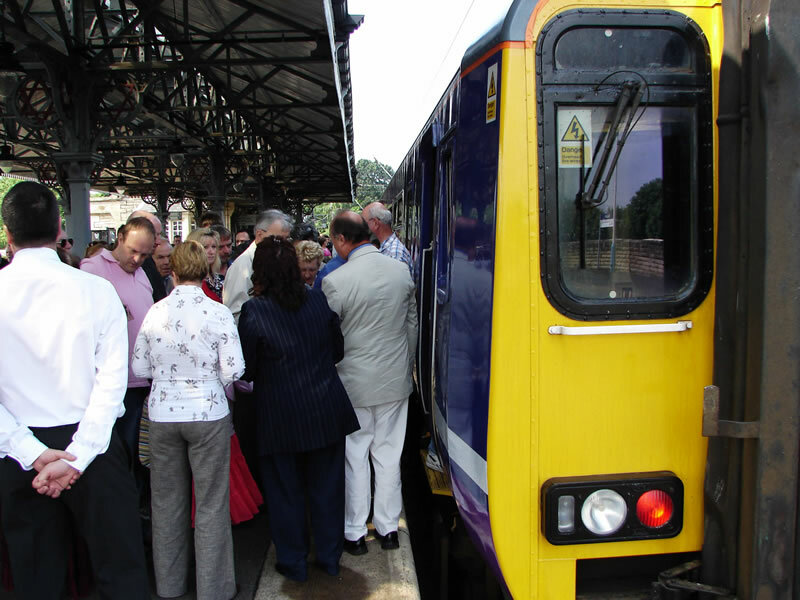 Tickets on the 2nd & 3rd trip were sold to members of the public and in fact were completely sold out within days of release, indicating the high level of local support for the scheme. 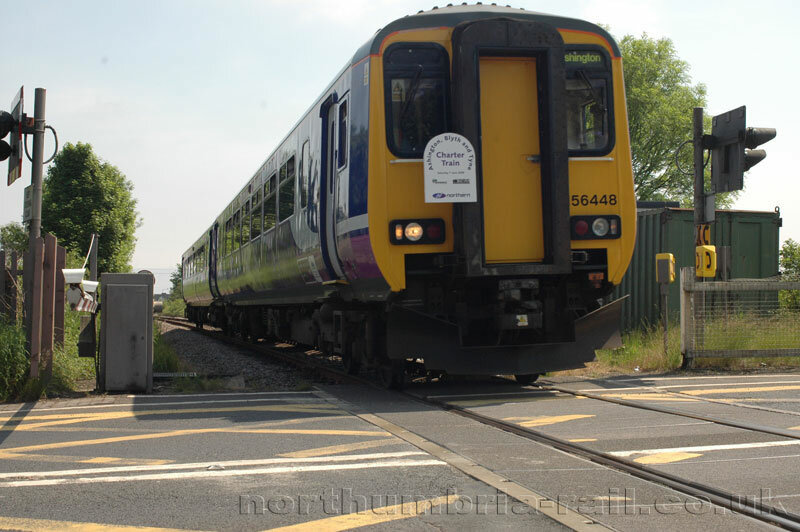 However, tickets on the 1st trip were reserved for local stakeholders and this train included over 130 representatives from Northumberland County Council, Castle Morpeth Borough Council, Morpeth Town Council, Wansbeck District Council, Blyth Valley District Council, Newcastle City Council, Association of North East Councils, North East Assembly, Nexus, Government Office North East and SENNTRI (South East Northumberland and North Tyneside Regeneration Initiative). 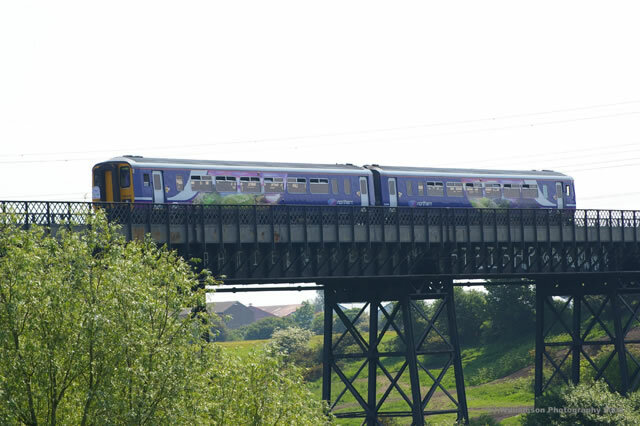 Wansbeck MP Denis Murphy (Labour) was on board as was North East England MEP Fiona Hall (Lib Dem). 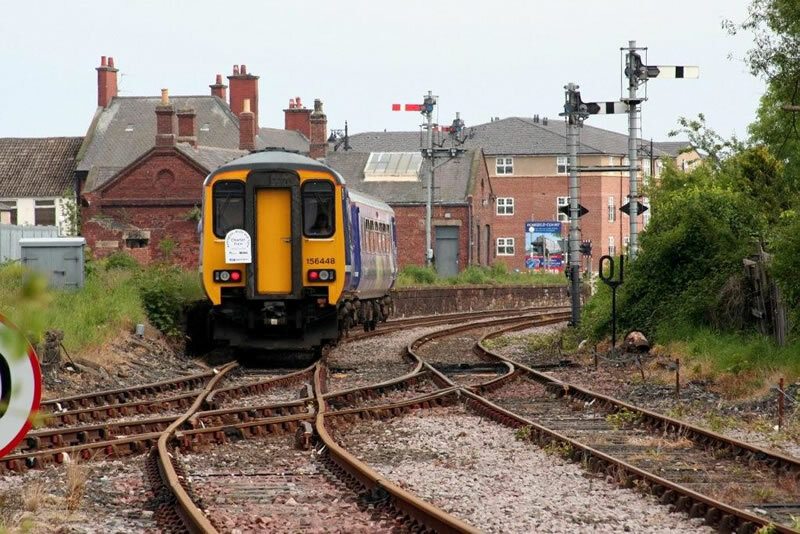 Representatives from local businesses, North East Chamber of Commerce and the TUC were also on board, as was RailFuture North East branch chairperson Martin Murphy. 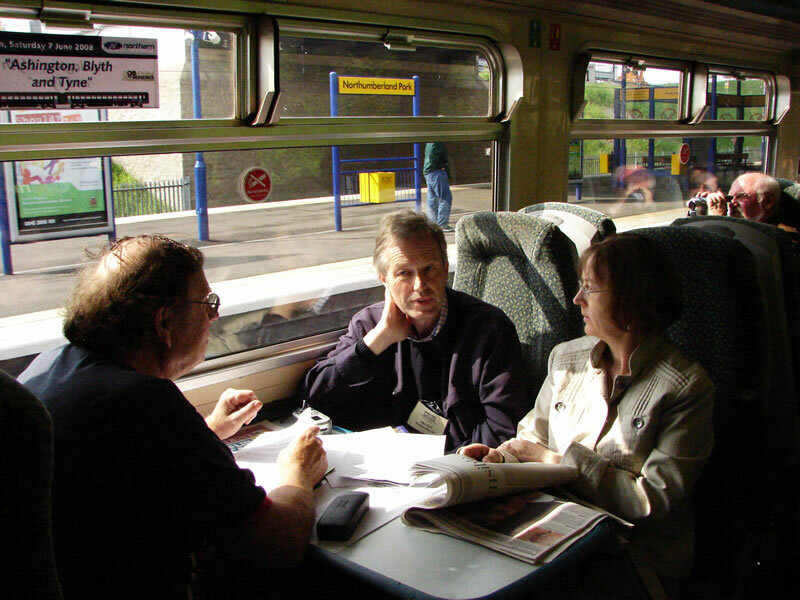 Significant press coverage was achieved with the trip being highlighted on BBC TV The Politics Show (8th June - for a video replay click on link below), BBC TV Look North (7th June), BBC Radio Newcastle Drivetime (6th June), Century Radio and Smooth Radio's hourly news broadcasts (7th June) and with reporters / photographers from 4 local / regional newspapers also present. 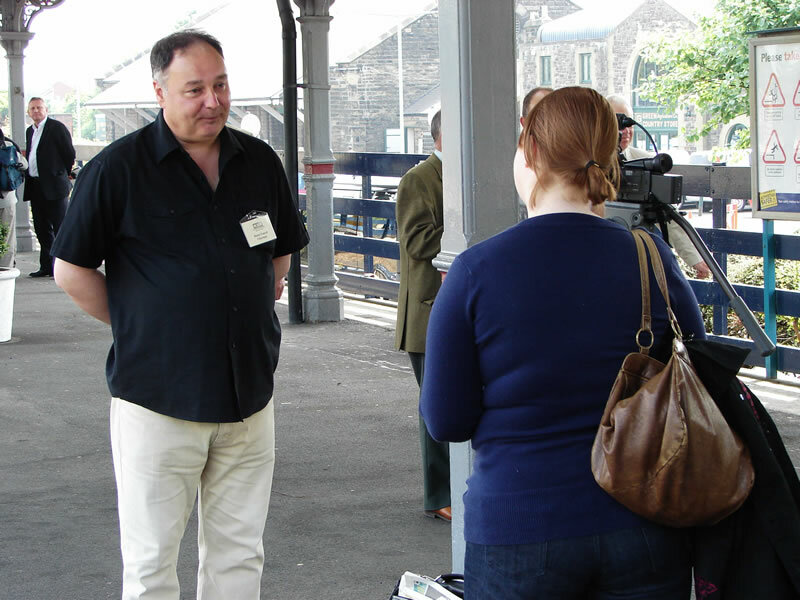 Dennis Fancett, Chairman of SENRUG was interviewed for the 2 BBC TV programmes and was extensively quoted in the local press coverage. 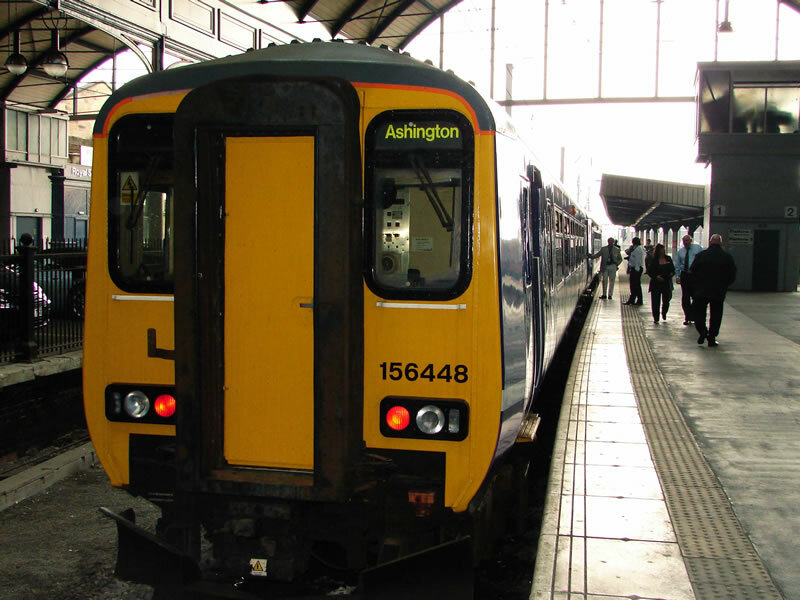 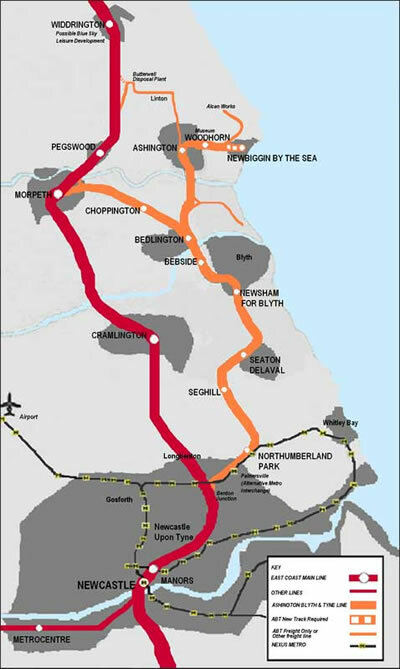 "We called the charter train 'The Ashington Future' because we want to highlight the regenerative benefits re-opening the line will bring" he said. 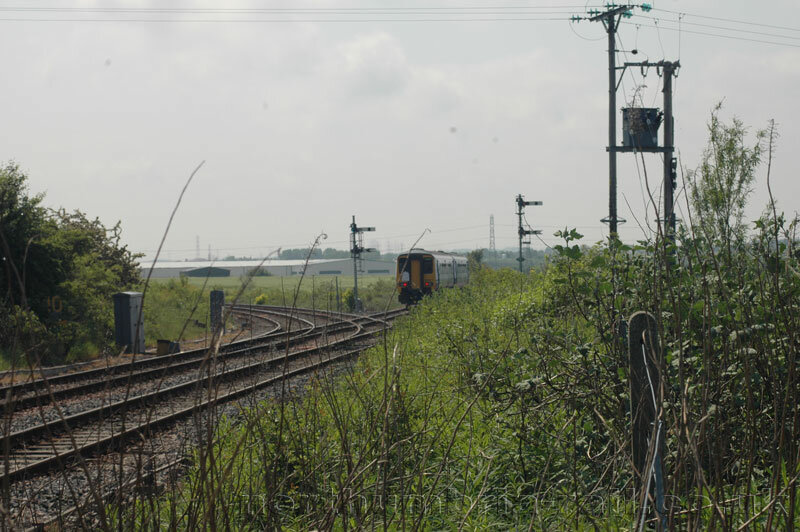 "This was not a heritage or nostalgic trip. 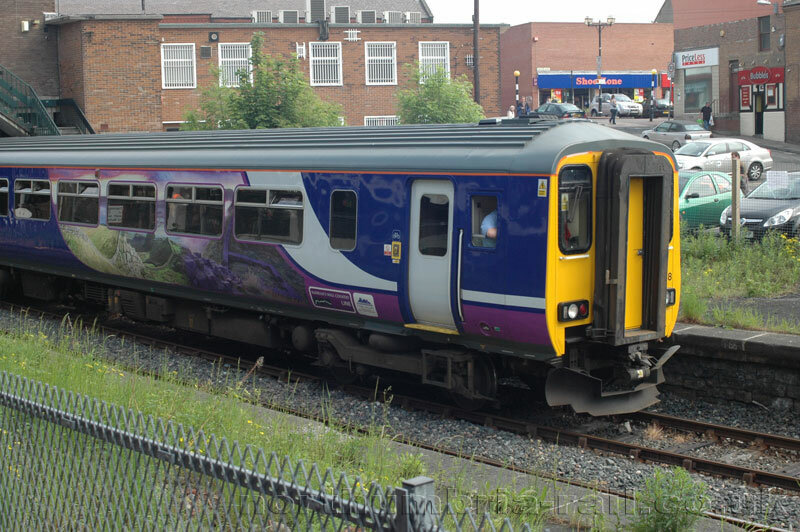 We deliberately chartered a standard 2 coach train from Northern Rail - exactly the kind of stock that would be used if the line is indeed re-opened, and we set the fares for the trains open to members of the public at the kind of level they are likely to be once the line is re-opened, rather than charge premium as often happens on heritage trips. 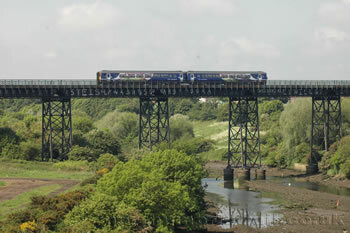 As we completely sold out, we are being inundated with messages asking us if we are going to do this again next year. 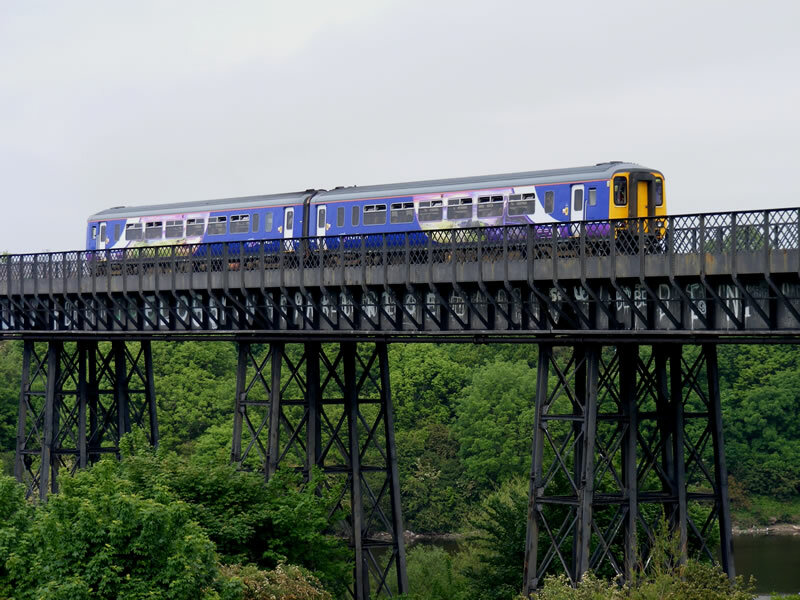 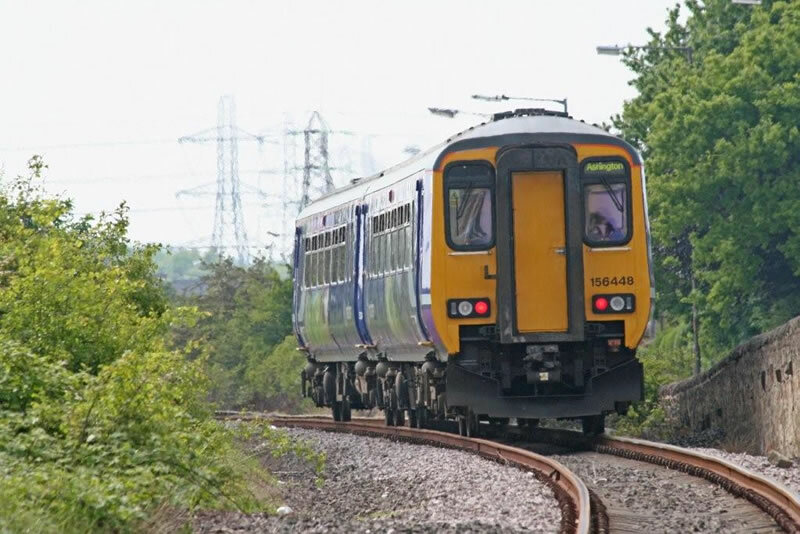 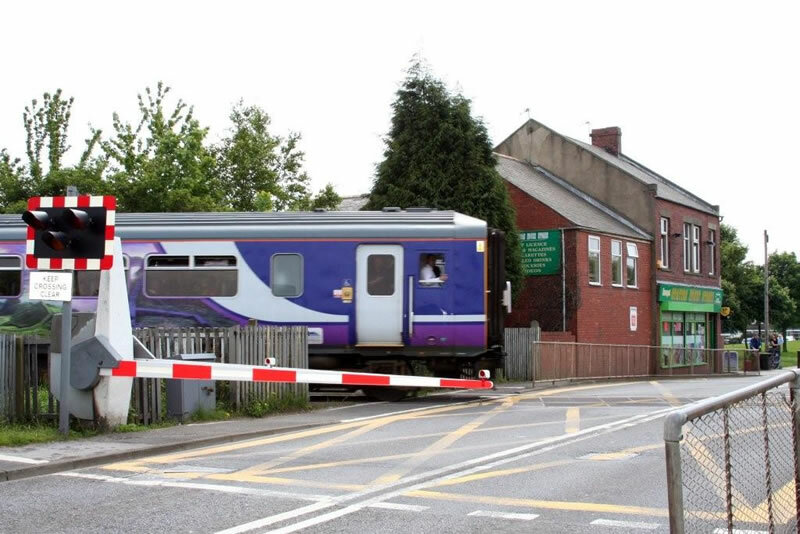 Our reply however is that we hope the line will soon be re-opened permanently, meaning local people can travel on it every single day, and not just on special occasions). 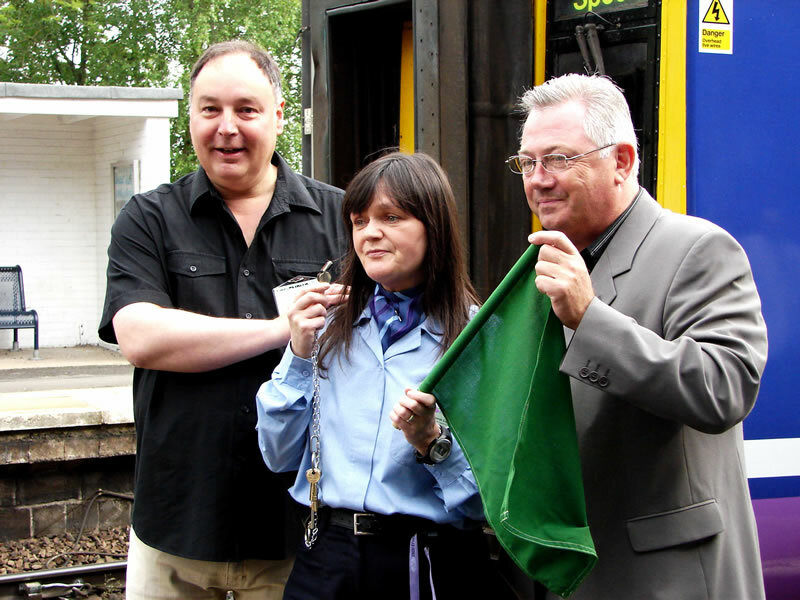 SENRUG also produced a colour brochure programme detailing their re-opening campaign. 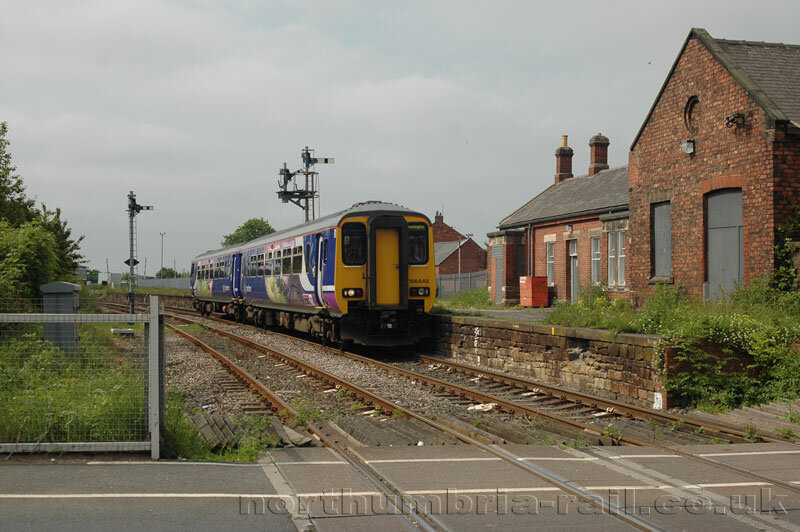 Spare copies were left at Morpeth Station and local libraries, further highlighting the campaign. 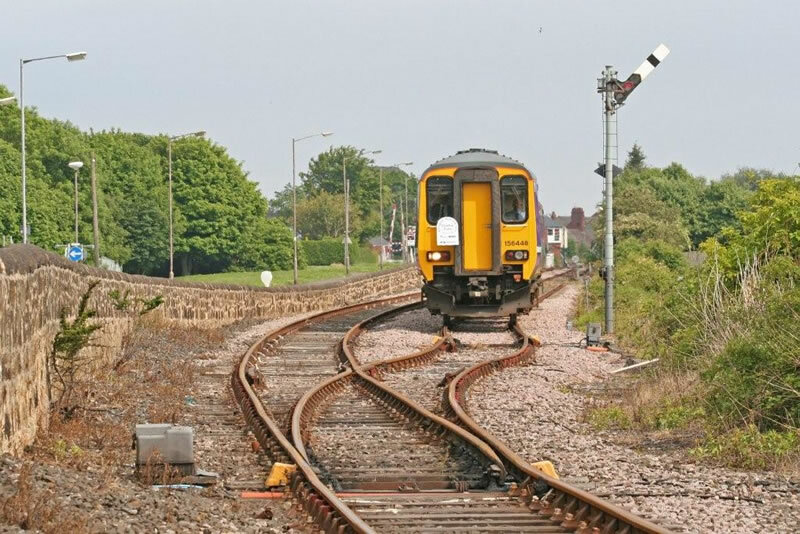 SENRUG believes the charter was a pivotal moment in helping various stakeholders see how easy it would be to re-introduce passenger services permanently. 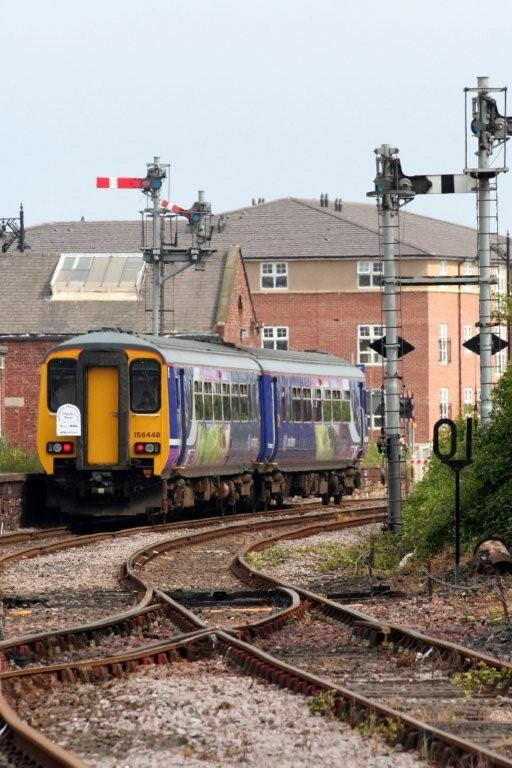 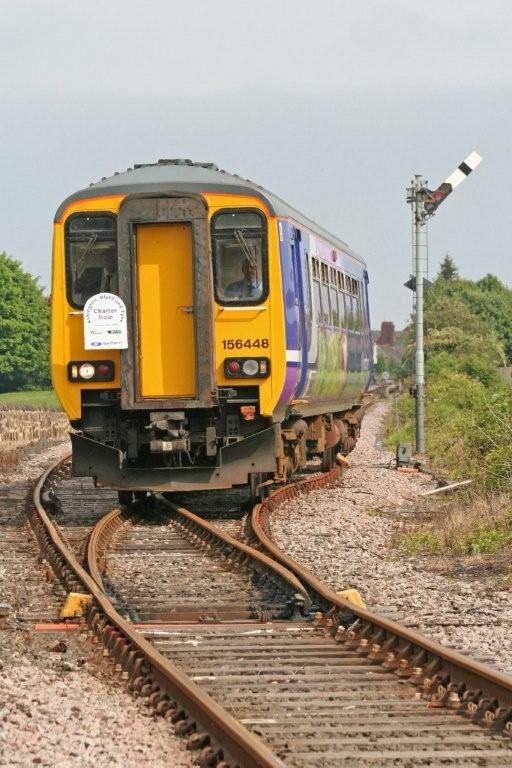 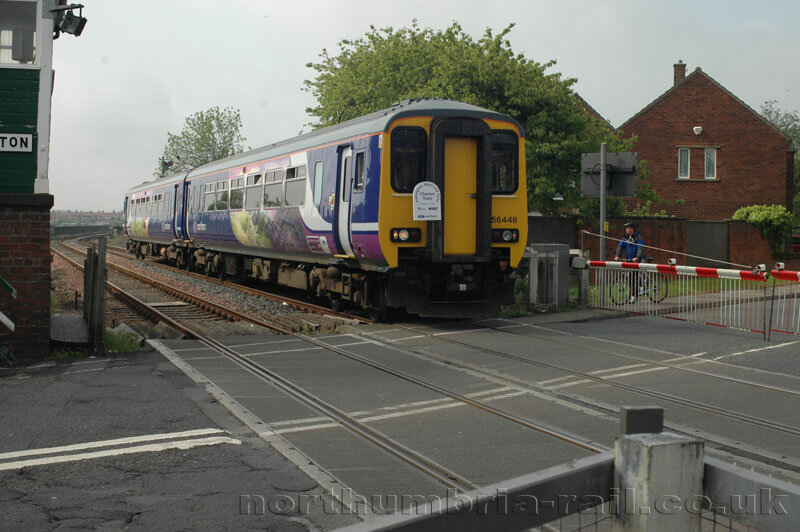 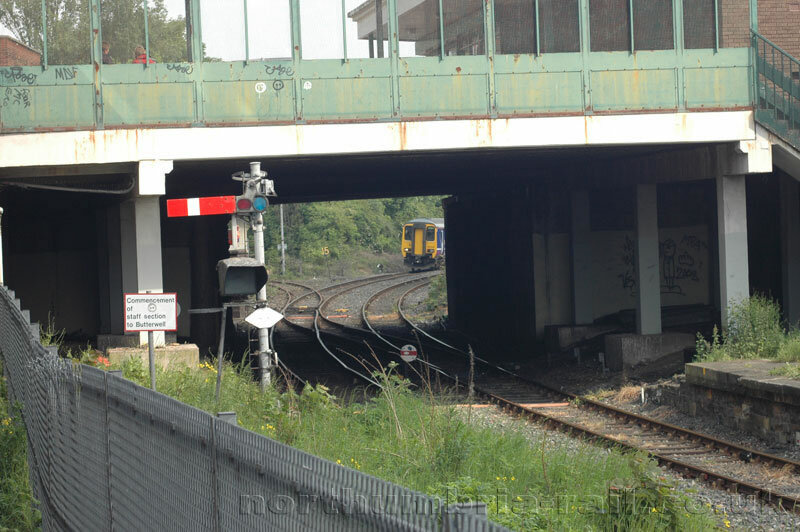 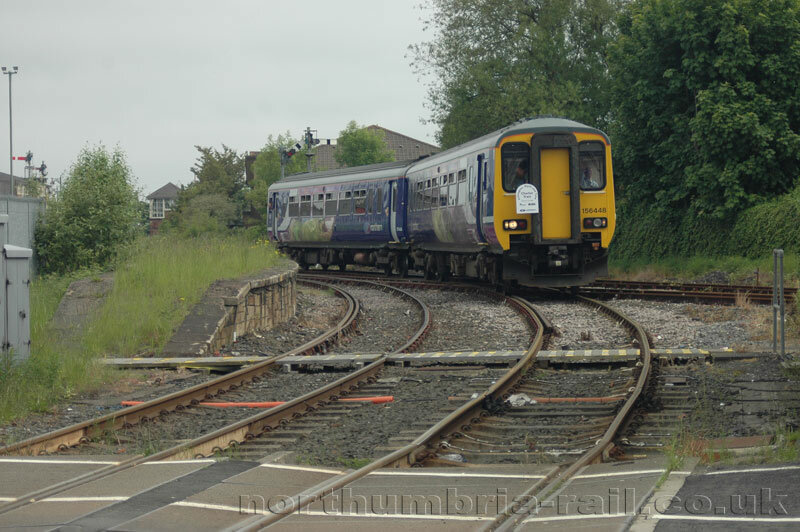 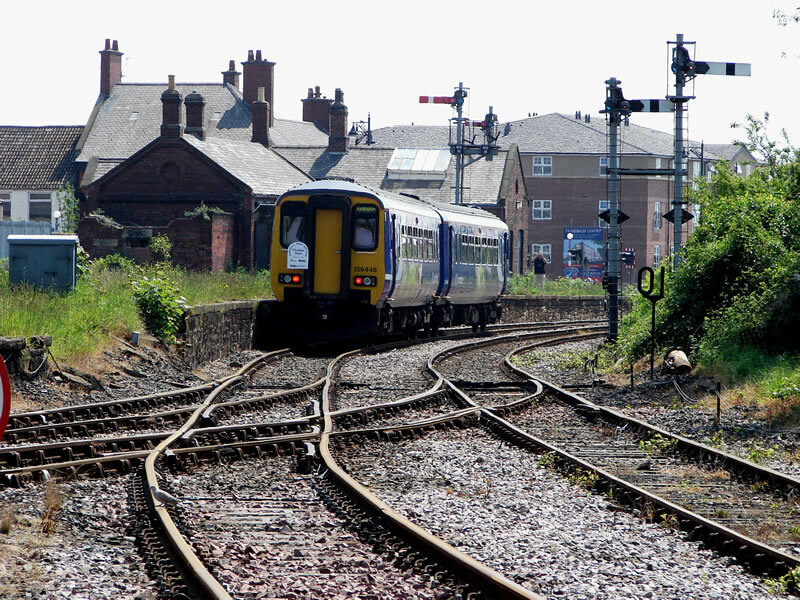 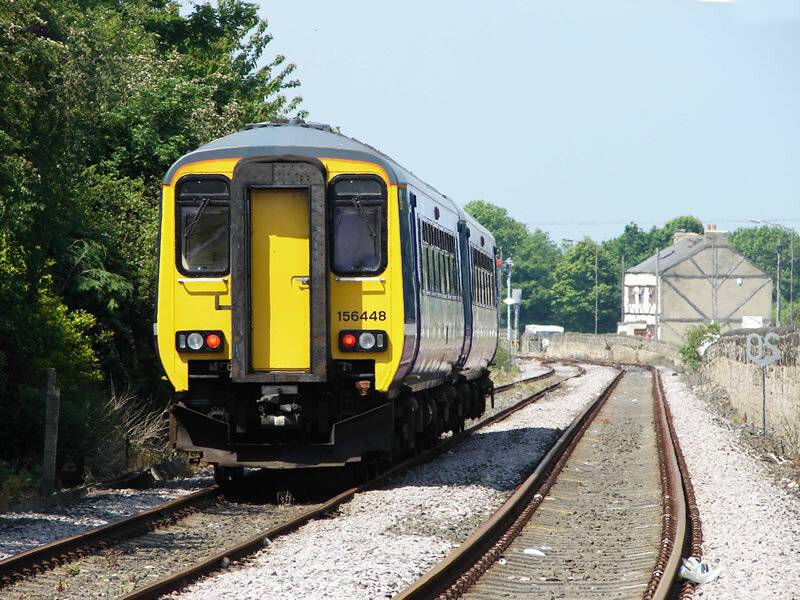 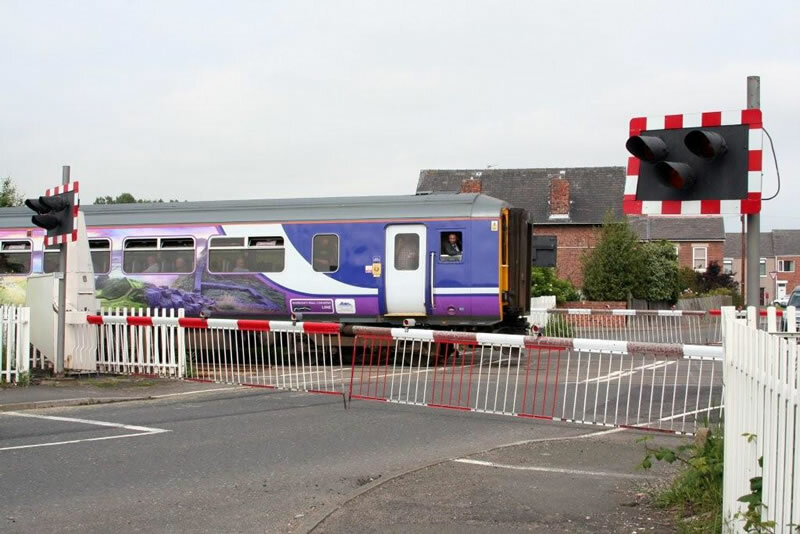 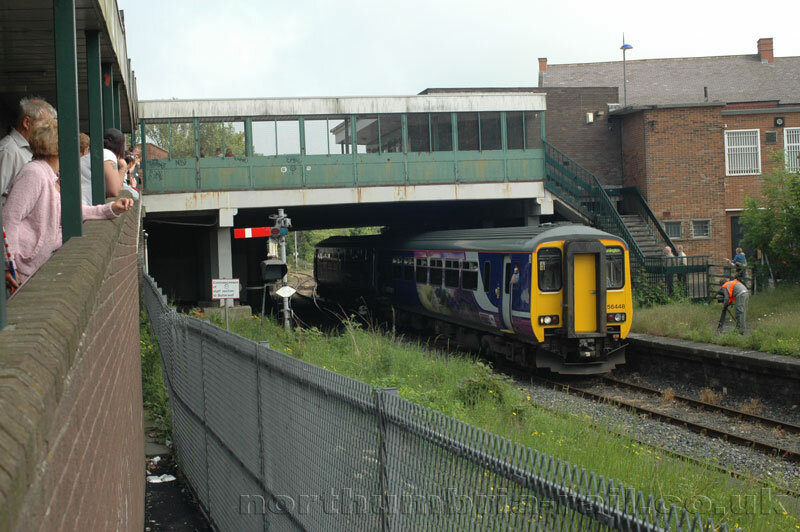 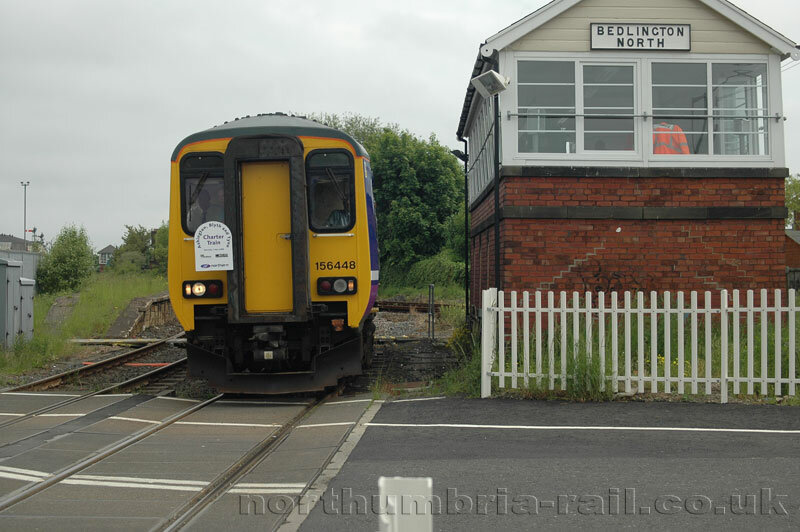 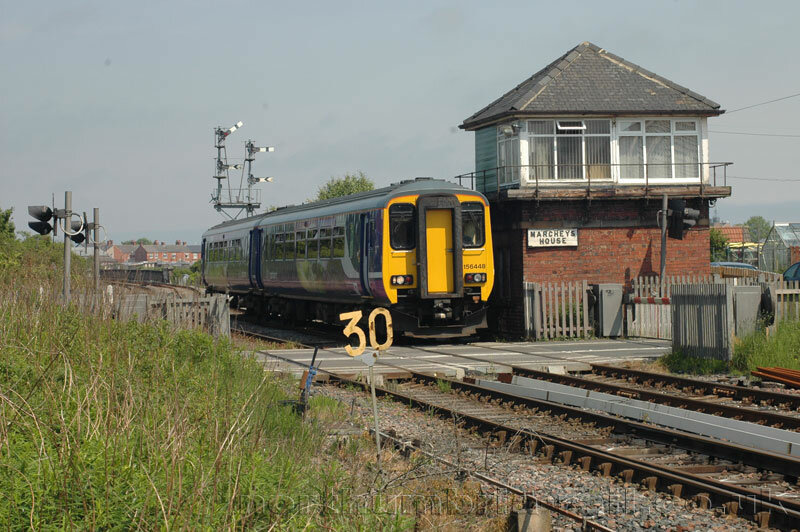 Subsequently, the scheme was included in Northumberland County Council’s local Transport Plan, and the authority are now progressing the scheme through the Network Rail re-opening process.